As supporters of the new ‘commons politics’ win office in a variety of European cities, Stacco Troncoso and Ann Marie Utratel chart where this movement came from – and where it may be going. How bad is our present political landscape? Let’s take stock. The crush of ‘lesser-evilism’? Check. The alt-right’s metastatic spread? Check. Once-radiant left options (like Syriza or Podemos) now tarnished, in part by their inability to make good on promises? Check. Overall, pretty bad. The excesses of neoliberal capitalism may have finally eroded any remaining trace of its intellectual credibility. However odious, these excesses had become comfortable for many people, offering a false sense of security and predictable margins of action. Prolonged austerity politics and the pillage of the welfare state have left large numbers of people frustrated, hopeless, and angry, though, and the awakened right-populist movements have exploited this with alarming consequences. Without an apparent alternative, political engagement can seem limited to a pointless choice: scramble on loose rocks over the familiar but shifting ground of globalised capitalism, or hitch one’s wagon to a careening carload of 21st century hubris, i.e. Brexit, Trumpism, the alt- or far-right. Is it time to give up on the representative democracy experiment, or are there any active models for more humane, participatory politics? As Gramsci said, ‘The old world is dying, and the new world struggles to be born: now is the time of monsters’ [This is sometimes also translated as ‘In this interregnum a great variety of morbid symptoms appear’.] After nearly 40 years of progressive neoliberalisation and social decomposition, contemporary politics has been very publicly upended by a misogynistic, xenophobic and financially privileged ‘new right’ intent on coupling its politics of hate onto the apparatus of state power. Amid this increasingly bleak political landscape, affinity-based networks and communities using P2P dynamics and building commons have been taking action. Small-scale innovations in many fields are paving the way for true, sustainable resource management and grounded social cohesion. In governance, food growing, service provision, science, research and development, education, even finance and currency, these community-enabled developments demonstrate how differently our lives could be organised. Many of these place-based efforts are being documented and replicated worldwide through the Internet, in the process re-seeding the knowledge commons from which they draw. This is done through commons enabling, aka P2P (peer-to-peer, person-to-person, people-to-people) technologies, which are gaining momentum as forces for constructive change. They enable small group dynamics at higher levels of complexity and enable the reclamation of power. With this power, people can create innovations in production, open book accounting, and the stewardship of natural, cultural or digitally derived commons — but also in governance. Together, all of this forms the building blocks of a truly bottom-up system. Could all this really coalesce into something that, in the future, might be called ‘post-capitalism’? Only if those who identify as commoners recognise, promote and develop these systems and increase their cultural and, vitally, their political influence, while remembering that there are other players already on the field using similar means towards very different ends. Seen from outside the Western context, this wiggle room could be considered as ‘privilege’. Under the market-maximising dictates of Brussels, such privileges seemed like they were on their way out in the EU. But the man behind the curtain was revealed in 2008, and a sudden flare of counter-political activity reached its peak of public attention in 2011. In 2017, the question is not theoretical, but hands-on practical: how do we build the new world in the shell of the old – and before the shell squeezes shut? The post-2011 protest movements never quite got it together, politically speaking, well or quickly enough to counter the rising hate wave from the right. The contemporary European political landscape shows a populist reaction against global capitalism, but by harking back to a past that never was. Adding insult to injury, we see these xenophobic constructs have built their social base not just with deft internet and social media skills, but also by using P2P tactics. That’s a bit of salt in the wound, given that P2P tactics and tools have largely been promoted by people working for a more inclusive and just world, not one that seeks to ‘otherise’ and exclude. We cannot afford to forget that financial interests will always favor extreme right wing or fascist options that safeguard their stake, and that any redistributive political options will be harshly and publicly ridiculed, or worse. With the noxious spirit of the thirties rebounding, there’s not a moment to spare; patience now would be a deadly strategy. It’s time to occupy the collective cultural imagination with compelling and practical political alternatives and expose the normalisation of neoliberalism as deadly propaganda; to expose the numbing spectacle (Brexit, Trump, etc.) as yet another synthetic opioid addiction. This is why it’s time for the commons movement to become more overtly politically active. Beyond self-organised production, care work, ecological stewardship, even beyond ethical generative markets, it’s time for more effective political engagement, not only to protect the essentials of the welfare state model, but to transcend it with a radically reimagined politics that facilitates social value creation and community-organised practices. There are models for this commons-oriented political engagement in Spain’s municipal movements, which the rest of this article will outline. To be clear, ‘political’ describes not only political representation, but also the actionable rights of all those affected by political decisions – the public sphere. There’s a false dichotomy between wanting to build new alternatives now and wanting to enable change by hacking existing political channels. Both approaches, prefigurative and institutional, can work together. Of course, that party is Podemos, whose trajectory indicates what a commons-oriented political party can — and more pointedly, should not — do. Their early months impart what is politically feasible in urgent circumstances, and show the power that can be harnessed by appealing to people’s hopes while articulating their needs and desires. The early success of Podemos was due to their work on two distinct-yet-related levels: mass media and network media. Having cut their teeth on prime-time TV debates, Podemos’ most visible figures (chiefly male) made for great entertainment, clobbering the arguments of the chronic political class, which they dubbed la casta (‘the caste’, a jibe implying a privileged class). It wasn’t all showbusiness. 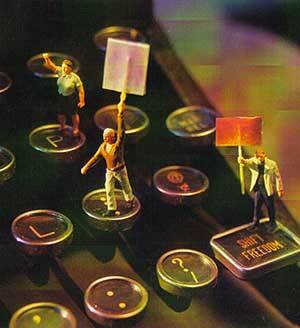 They were savvy enough to capture the networked, horizontalist politics of the 15M movement. A staggering number of geographical and interest-based assemblies (called ‘circulos’ – circles) were enabled and bolstered online through tools like Reddit, Loomio and others. With its legion of tactics, Podemos became a totem appealing to many types. One type is the once politically apathetic actor, who sees in Podemos’ secretary-general, Pablo Iglesias, a contrarian avatar through which to channel their disdain for the middle-class destroying casta. Next would be the old guard leftist, disenchanted with the Social Democrat (PSOE) party’s devotion to neoliberalism and austerity politics. Similarly, there are those who had been disillusioned after placing their bets on the more leftist outgrowths of the Spanish Communist Party. The last type, obvious but worth mentioning, is the activist, who found or rediscovered their political voice in the squares during 15M and/or the preceding alter-globalisation movement. Of course, we’re not here to tell the story of Podemos. That story has turned darker and duller over time. Once high on the taste of popularity and leadership in the polls, the Podemos ruling committee slanted towards becoming a vanguardist ‘electoral machine’, taking power on behalf of those left behind. It began to look like Podemos would win elections at all costs and bring liberation to the silenced masses — whether the masses wanted this imposed from above, or not. Three years later, the results are plain to see. Surpassed by both the Social Democrats and the somehow-still-ruling Popular Party (a den of Franco apologists and Brussels bootlickers), Podemos failed to make ‘fear change sides’, as they once boasted. Meanwhile, across the Mediterranean, Greece proffers another cautionary tale: Syriza, the party from the ‘little country that said “no”‘. Except that, after saying ‘no’, the little country’s political representatives, now disconnected from the social movements that lofted them to power, kept on playing the rigged game rather than build one fresh. The story does not end there, however. A new political milieu arose between 2014 and 2015, led by the third profile mentioned above: the post-15M activists, stepping up and into politics. They wanted to be the creators of representative politics, not its recipients, and to act as facilitators for many other voices to be included. The genesis of Spain’s municipalist coalitions tells a new story, describing keys to a successful commons-based political strategy that creates tangible change. The origins of this other story lie in the apparent decay of the 15M movement. The word ‘apparent’ is key here – as long as we are speaking of visibility, we must acknowledge the Occupy movement as part of this disappearing act. In 2011, Time magazine’s ‘Person of the Year’ was not Donald Trump, but the protester. This marked the apex of media visibility for the networked movements demanding attention by standing their ground and announcing their presence through encampments, which provided a compact mass of human profiles against a mainstream media-friendly backdrop. Here, we should draw a distinction between how the 15M and Occupy encampments disbanded and were disbanded. In Spain, the activists took a page from the Art of War and voluntarily dispersed their large-scale occupations, decentralising them into neighborhood assemblies. In the US, the FBI coordinated with the Department of Homeland Security, the Joint Terrorism Task Force, private sector players (notably banks), local law enforcement, and mayors of several prominent cities to first infiltrate and then violently dismantle the occupations. If we limit the import of Occupy to those few, highly visible months in the squares, we can see that it had not so much ‘died’ as it was assassinated. In both Spain and the US, the media — behaving as if geospatial proximity is the only thing holding affinity networks together — rushed to pronounce these and all their sister movements worldwide to be defunct. So much for the person of the year in 2011! This was not a natural passing but a brutal attempt at disappearing a large movement. However, to paraphrase Mark Twain, proclamations of the movement’s death have been greatly exaggerated. If these movements still live and breathe, though, we must ask ourselves with whose complicity and consent they have been labeled ‘failures’. Think of a sugar cube. Held in your hand it is compact, with a recognisable shape and texture, easy to measure and describe. Drop the sugar cube into a cup of coffee and stir that around. Magic! The cube has disappeared. Take a sip, though, and you’ll agree that the flavour has changed. In a nutshell, this describes the argument that the 15M, Occupy, Syntagma and various other movements are alive and well, albeit in distributed and less immediately apparent ways. For those willing to look, their effects are readily identifiable. Remember that not even six years have passed since the occupations; this is not a tale of hippies turning into yuppies. This is the story of a movement that refuses to take the news of its own demise as a binding contract. In Spain, however, these activists, people with real memories and lived experiences, chose to politically organise, and they actually won – not once, but multiple times in multiple locations. 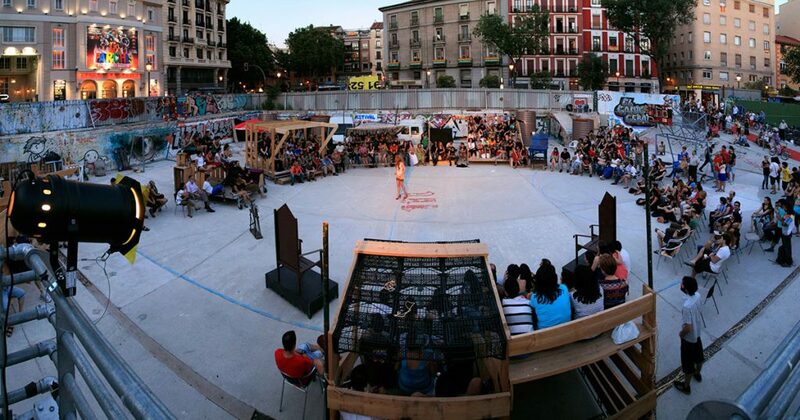 In the spring of 2014, spurred on by Podemos’ success in the European elections, a group of activists met in El Patio Maravillas, one of Madrid’s most prominent occupied social centers. ‘We’re going to win this city’, they announced. They began organising, enabling unprecedented levels of citizen participation and facilitating a common space for previously unaffiliated and disaggregated political actors. Anyone who agreed with the basic principles and wanted to be present could propose him or herself as a candidate on fully open and participatory electoral lists. The call for convergence was an astounding success, and Guanyem Barcelona, publicly represented by anti-eviction and right-to-housing campaigner Ada Colau, begins its yearlong mutation into Barcelona en Comú, an ‘instrumental’ electoral coalition comprising a variety of actors from social movements and anti-establishment political parties working together to take back the city. Ignored or decried in the popular media, these coalitions, much like the 15M and Occupy encampments, replicated themselves in other locales, forming alliances and swarming around shared values and beliefs. The process was messy, effervescent and busy. No one had tried this before and there is no instruction manual; in practice, it can only be written together. Against poll expectations, a hostile media, and entrenched political interests, these parties overwhelmingly won in Spain’s main cities, not only Madrid and Barcelona, but also in Valencia, A Coruña, Zaragoza, and Cadiz. Podemos, although a participant in many of these coalitions, chose to run the regional (as opposed to the city) ballot on their own. The result? Zero victories in all the places where the citizens’ coalitions had triumphed. In the city of Madrid, where the same census group could vote for the city (Ahora Madrid) and regional (Podemos) ballot, Podemos got just half the number of votes won by Ahora Madrid. Spain’s municipalist coalitions were the result of a number of movements representing changes in cultures, mindsets and relations to power. The most notable among these is 15M and, unlike Podemos, the coalitions can be considered its true political byproducts. Prior to the 2014-2015 electoral cycle, 15M had also developed strong transversal relations with movements around housing, public health and education and culture. Known as ‘las mareas’, or ‘citizens’ tides’, these were characterised by self-organised protests and capacity-building that, although inclusive of traditional actors such as labour unions and political parties, were truly multi-constituent in nature. For example, the public health marea would include healthcare professionals, patients, civil workers, health reformers, hospital staff, specific disease-focused associations and help groups, etc, as well as all supporters of the public health service. 15M itself was also a product of already existing tendencies, with people who had been working in digital activism, free culture, de-growth, the commons and a host of other movements. Today, the municipalist platforms coordinate among themselves to share resources and best practices, functioning as trans-local affinity networks. Although mainly focused on providing real world solutions to their constituencies, the coalitions share a number of notable features. One of the most refreshing is that their attitude towards political discourse is considerably more feminised, a contrast to the old guard and masculine attitudes typically found in institutional politics. Beyond their local concerns and trans-local alliances, all the municipalist platforms have their eye on the transnational dimension in order to form a network of ‘Rebel Cities’. This, as a practice, mirrors the locally embedded but globally networked practices of P2P productive communities. In addition, the multi-constituent approach seen in the citizen tides is mirrored within the coalitions, which, although inclusive of established political parties, are notably non-partisan as they all reflect the interests of wide breadth of civil society actors. And they lived happily ever after? Of course not: the activists-turned-political representatives face an unwaveringly hostile media environment, which exaggerates their blunders (or invents them when convenient) while burying their achievements. After four years of precarity and engaged activism, these individuals face 60+ hour work-weeks while clashing against the entrenched realities of horizontalist bureaucracy, holding minority seats within electoral alliances with Social Democrats. The pluralistic nature of the citizens’ coalitions have unsurprisingly led to incoherencies and gaffes and, perhaps worst of all, a noticeable abandonment of direct-action tactics and counter-power building efforts. Still, they soldier on, and the list of benefits and advances (cancellations of public contracts with multinationals, participatory budgeting, more gender-balanced literature and representation, increased public spending, anti-gentrification strategies, basic income pilots, direct-democracy mechanisms…) is plain for all to see. The best of the truly good news is that Spain’s municipalist coalitions are not alone. Progressive cities worldwide are enabling and empowering the act of commoning. Rather than directing what the citizenry can do for itself and its environments, these ‘Rebel Cities’ or ‘Fearless Cities’ are listening to commoners’ voices and creating spaces for ordinary people to roll up their sleeves and manage those matters that concern them most directly. Cities like Ghent, Belgium; Bologna, Italy; Amsterdam, Holland; Frome, England; Belo Horizonte, Brazil; Naples, Italy; Montreal, Canada; Jackson, USA; Lille, France; Bristol, UK and Valparaiso, Chile are examples. Their people are increasing transparency, enabling participatory budgeting, turning empty lots into community gardens, co-creating skill and tool-sharing programs, and facilitating the creation of social care co-ops among many other actions relevant in their local contexts. Beyond the city level, we now also find pan-European efforts to bring the practices of commoning to the institutions, while not losing sight of the necessary mutual recognition needed for the commons movement to emancipate itself from markets and state as it radically re-imagines these. In November 2016, a group of 150 commoners from all over Europe gathered in Brussels to lay the foundations for a united and strong movement, and the European Commons Assembly was born. Building on several weeks’ collective work in policy proposals, the Assembly sat in the European Parliament to explore the ECA as a platform and the commons as a powerful paradigm for policymaking. The lexicon and practices of commoning are evident in how these coalitions, Rebel Cities and transnational assemblies have formed and are articulating their governance. With a focus on transparency and citizen participation, and taking advantage of open-source P2P technologies, they prefigure many aspects of the politics of a better future. The challenge ahead lies in applying the network logics that have been so successful in Spain to recover the latent power of Occupy and 15M and build resilient, more feminised and ethically coherent, transnational political movements. Potential success is also about keeping it real and relatable. The old left has traditionally communicated in abstracts, which tends to create rather than solve problems. At the same time, the ‘new’ populist left of Syriza, Podemos and Bolivarian Socialism seems satisfied making grand paternalistic promises, resorting to throwing blame rather than proposing participatory, unalienated and feasible actions. In a culture where the elderly self-organise affinity groups through social networks and informal, participatory communities emerge to address the shortcomings of a decaying welfare state, people are demonstrating that they want to have a say in how things are run. They do not want to have someone paid exponentially more to say it on their behalf. Can a commons politics address and support this shift towards self-organisation? Imagine a radically reconfigured and democratically accountable structure. One that, while preserving the more desirable characteristics of the welfare state — social and public health provision and large infrastructure management and upkeep — radically democratises them. It would do away with the state’s cozy symbiosis with market entities, while deconstructing its pernicious monopolies over money creation and exchange, and property and judicial rights. A second radical set of measures would prohibit the structural enforcement of inequality and the often violent repression of emancipatory alternatives. This structure would function in much the same way as foundations do in the open source software economy: providing the infrastructure for cooperation and the creation and upkeep of commons but not directing the process of social value creation and distribution. In other words, it would empower and protect the practice of commoning. This enabling metastructure — often referred to as the ‘Partner State’ — would also take on new functions derived from already existing P2P/commons practices. Among these, we would see a promotion of real, needs-oriented entrepreneurship, bolstered by explicit recognition and support of bottom-up productive infrastructures, such as Open Co-ops, mesh wireless networks or community renewables through public-commons partnerships. It would allow commoners to repurpose or take over unused or underutilised public buildings for social ends while giving legal recognition to the act of commoning, whether through copyleft-inspired property-law hacks or through a longer process of gradually institutionalising commons practices. Its grassroots democratising ethos would create new financing mechanisms and debt-free public money creation, which, alongside social currencies, could fund environmentally regenerative work and the creation of new, distributed open-source infrastructure. These would be supported by taxation schemes favouring the types of labor described above, while penalising speculation, parasitic rents and negative social and environmental externalities. The overall system has to be kept in check through a pervasive culture of participatory politics — made feasible through its attendant pedagogy — to involve a newly enfranchised citizenry in the deliberation and real time consultation of political and legislative issues and budgeting. In issues of power, the Partner State shifts to being a fluid facilitator to assist and emancipate the bottom-up counter-power that keeps it in check. Is this narrative Utopian? No more than the ‘what are their demands…?’ proposals of Occupy and 15M. In fact, many of the Partner State practices described above are already being enacted by the Fearless Cities. Accusations of utopianism are used dismissively to enclose the commons of the imagination. People need courage (and encouragement) to imagine something better in human nature, more than inevitable conflict and self-interest. History, despite its observable patterns, is not deterministic. Nothing suddenly materialises from detailed concepts into fully formed realities; there was no group of wise men sitting around in 15th century Florence proclaiming: ‘…and we shall create Capitalism! And it will progress through creative destruction! And we shall have high frequency algorithmic trading!’ or any such nonsense. Instead, if we look, we can identify various socio-technological trends including the rise of the merchant class, the printing press and double-entry accounting, all of which would proceed from the 18th century to form what we recognise now as ‘capitalism’. Back in our present-day chaos, applying a Commons Transition to the field of politics entails creating a new, inclusive political narrative that harnesses the best practices of three distinct progressive trends: openness (eg. Pirate parties), fairness (eg. New Left) and sustainability (eg. Green parties). The optimal game plan for building a new political vision fit for the challenges of our time involves building bridges between these three trends, precisely what the municipalists have achieved and translated into political and legislative power. There is a need for deeper respect towards rural and deindustrialised areas, where P2P dynamics can usher in workable solutions and grounded, bio-regionally based political engagement. Inclusive by nature, the commons as applied to politics can enable grassroots political participation by affected individuals and communities. However, this new narrative must be grounded in scalable, existing best practices that are accessible to change makers and civil-society organisations, not only to existing institutions. This article was first published in Red Pepper. Republished here with thanks. I think I know what this article is trying to say. If I’m right, I’d probably gravitate towards its approach. However, the article is so mired in dense and unintelligible language I find it impossible to take seriously. “margins of action/Prefigurative social arrangements/hacking existing political channels/horizontalist politics/contrarian avatar/vanguardist/geospatial proximity/disaggregated political actors/transversal relations/No revolving doors (no cycling through public/private positions)/ prefigurative strategies/mesh wireless networks/copyleft-inspired property-law hacks/social and environmental externalities/bio-regionally based political engagement”.